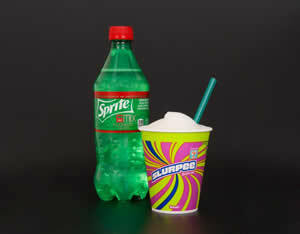 FREE Small Slurpee Sprite 6 Mix at 7-Eleven! Download 7-Eleven app for iOS or Android and register for a new account. The coupon for one (1) FREE Small Slurpee Sprite 6 Mix can be found in the Savings section. Push Redeem Offer button when you are in the store. The coupon will expire 15 minutes after activation. Expires 6/15/14.